Humans were created a long time ago, lived in different diversities and gained skin colour according to that place gradually. We are evolving since beginning of time and it's still an Ongoing process, but with time people have also developed differences, mean mentality, illogical superstitions and what not. Today we see 100's of Beauty cream ads to make our skin tone lighter and biggest celebs support these products and advertise about them for huge chunks of money. They show how immensely the skin tone improves by applying the cream in just few weeks with help of Photoshop and other editing software! Where as in real life rarely these creams change original skin tone of the people. Everyone is trying to make money out of the mentality of the people, they are selling us the products we don't need, its madness. With all the taboo's we already have in our country, now the problem of racism is also growing among us. People pointing out the black guys and girls or the north easterns like they are some aliens, find them less attractive, make fun of them. Yes, it has started in our country. People who cast this "You are black, go away" spell I guess haven't actually seen White people, In India, most of the people are whitish or light whitish, So how will you feel when some British person come and Call you a black and then starts questioning your Equality in the society? Okay a British can do, they have done in the Past but these things coming from our own people? That's Disgusting. 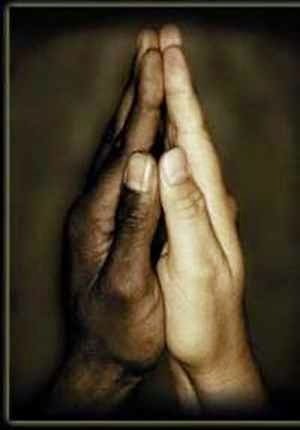 This world should Unite and not segregate! People who want troubles in the society always say things which catch nerves. They hit on, cast system, they spit racial venom on the society, infect our morals and minds. I have seen students speaking " Arre hatt kitta kala hai wo, or kitti kaali hai wo." People are hating each other on the level of their skin tone! It's just a matter of fact when you will also get a victimized to this situation. Not only this but we praise people who look whiter than us. Automatically we Generate respect for them, our tone becomes friendlier and we become the most complimenting person ever. Well more than 100 years of slavery has infected us so deep that it have dissolved in our blood quite nicely. The article is Not Anti-White people or Hail Black People! It's about giving up on judging people with their Skin Colour. We all beg you not to sow seed of another major problem of the society abroad in Our country! Skin colour doesn't matter, nor do cast, nor do any stupid segregation method developed in medieval time to keep sheep distinguished. We are well educated now and we should learn that it all depends from person to person and not from cast to cast or Colour to Colour. It is the time to support equality, why to criticize someone on the basis in which they had no choice, Someone is born in beggar's family and someone in millionaire's, just by getting born is some rich family does not give you right to make fun of those who weren't. The same thing is with the skin colour, some are born black, some white, someone with skin disease. We all are sympathetic with the hardships Black people and Us Indians have gone through in the past, let's not create the same differences which resulted in chaos and destruction. If we will not stop it now than we will not be any different from the people who ruled us. They lived with the same thinking which is building up within us. You do not decide someone's fate on their skin colour, cast or religion. So stop commenting, distinguishing, hating people for their colour! Don't let this virus breed in our society! Jai Hind!